What Does Harley-Davidson Teach Us About Our Government? 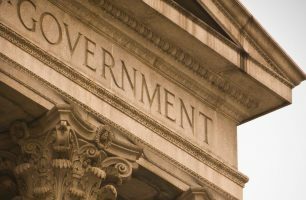 Previous articles challenged the belief, popularized by President Reagan that “government is the problem.” This simple assertion has been pervasive in our view of government institutions with its powerful message with escalating negativity. It also conveys a significant influence on public administration that is converse to the mission of ASPA; “advancing excellence in public service.” This segment expands the counter-claim that government is the solution. It is important to consider the historical context of this statement. At the time of Reagan’s inaugural address, there were actual problems with America’s national government that he had been elected to change. In 1981, inflation had crippled the economy based previous oil shocks led by the newly created OPEC, Iran held America hostage (literally), and closer home, labor unrest threatened our goods and services. Reagan moved with dispatch on these issues and was widely welcomed by a weary public. But in doing so, he re-enforced his deeply held negative beliefs about government. Rather than simply acknowledging that political direction and resolve was needed, the public’s fixation that “government was the problem” became embedded in our culture. Culture is an important, yet often ignored, dynamic. It is based on a broadly held group of beliefs and values which shape our approach to almost everything because it relies on perceptions of how we see the world around us. It is not necessarily derived from fact and reason. Rather, it is focuses our views to consider things assumed and varied opinions. To understand its consequence, consider the recent example related to a commonly known American product with national and international implications. It is widely accepted that American holds freedom and liberty as part of its core set of values. One product, more than most, exemplifies these attributes with its powerful branding, Harley-Davidson motorcycles. In the hearts and minds of the public where culture is formed, the classic Harley portrays the open road and the freedom to ride it. It is also one of our oldest manufactured products, a highly coveted, if not actually owned, built in Milwaukee, Wisconsin, the heartland of our nation. But is it? On June 29, USA Today presented a story under the headline, “American classic, with foreign parts.” The issue came to light based on the recently enacted tariffs by President Trump on foreign built products prompting retaliatory counter-tariffs by the European Union that included motorcycles. According to the article, Harley-Davidson subsequently announced it “is moving production of motorcycles destined for Europe to its international factories. The company is opening a plant in Thailand this year and has assembly plants in India and Brazil.” This, following their decision to close its Kansas City plant, came as quite a shock. Heightened interest led to the additional discovery that parts found in their products are manufactured in Japan, Italy, Mexico, China, Australia and other countries. These revelations produced a litany of angry comments from their loyal customers along with critical Tweets from the President himself, which had previously viewed the world of Harley-Davidson through the perceived lens of a made-in-American product. In the same article, Monte Whiteaker, head of the Oconomowoc, Wisconsin based Harley Owner Group stated, “ I want a quality bike, but I would I would like to see all of the components made in the U.S.” Suddenly, the parts of a Harley-Davidson mattered. So what does this example tell us about our government? First, it shows how little attention we pay to the details of its components. In America, government is not one huge amorphous mass. Rather, it is formed by thousands of pieces or parts that, guided by the precepts of public administration, serving Americans on a continuous basis. Almost all of the functioning parts are local. This is not surprising as it is where our experiment in self-government started. The 2012 Census of Governments identified two distinct categories based on their overall scope of authority; general purpose governments included 19,519 municipalities, 16,360 townships and 3013 counties and special purpose governments represented 12,880 school districts and 38,266 special districts. Of the 90,107 entities of government in our nation, 90,056 were local. Second, understanding what they do and why they do it is axiomatic to assessing their value. As one Harley loyalist stated, “I simply want it to run based on function and cost and reliability, in that order.” But to assess these attributes, it is important to have at least a basic understanding of the components and how they work. Just like Harley lovers, we seem to have paid little attention government’s many parts when we blindly accepted that “it is the problem.” This is especially true of county, one of our oldest forms of self-government, where it remains a component we use without knowing much about it, reinforced by the simplistic and delusional assumption that it must somehow be a problem. Over twenty years ago, Don Menzel succinctly stated “the American county is an important yet often neglected and maligned unit of local government.” Correcting our culture of misunderstanding while challenging and expanding our value of this entity of government will be the focus of subsequent articles.